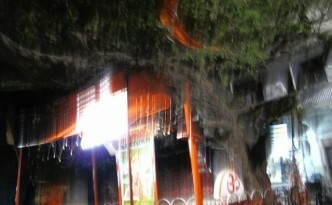 This tree was encountered during a sleepy midnight taxi bargaining episode, with weary eyes and exhausted minds.thus the blurry photo. 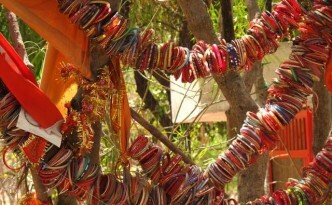 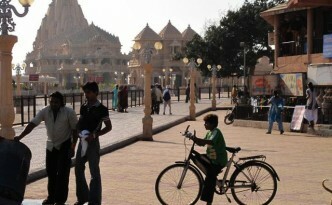 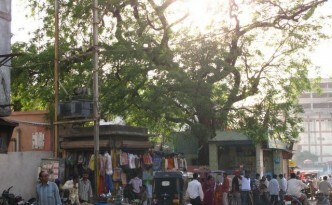 Look for this banyan near the stores to the right as you approach the important Krishna temple at Somnath. 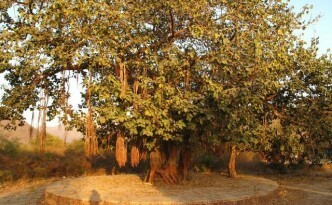 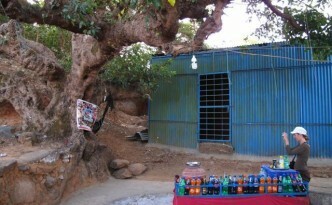 A banyan near the entrance to the Uparkot fort at Junagadh, near Girnar Mountain. 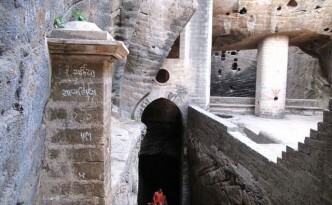 A small ficus tree is sprouting in the stoneworks at one the oldest and deepest stepwells cut deep into the earth at Junagadh’s Uparkot fort. 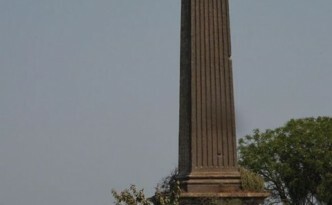 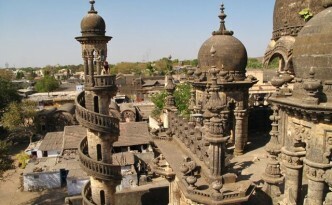 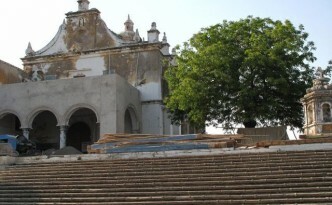 At the main intersection of Junagadh is a Sufi shrine with a broad neem tree shading it.